CH340g is a USB to TTL IC which is an alternative to difficult to solder CP2102 & the costly but reliable FT232. 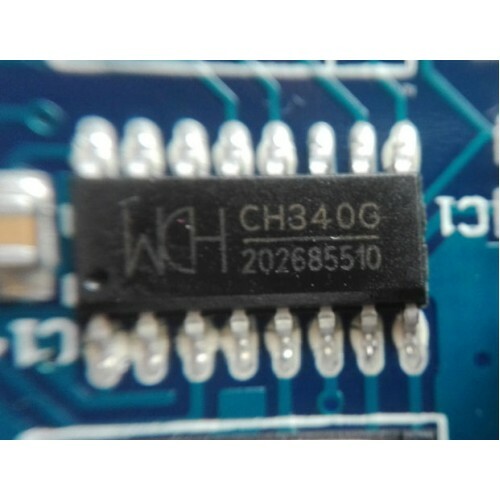 As of now the CH340g is the cheapest USB to TTL IC in the market with very easy to solder foot print it has solder pitch of 1.27mm and SOIC16 package. 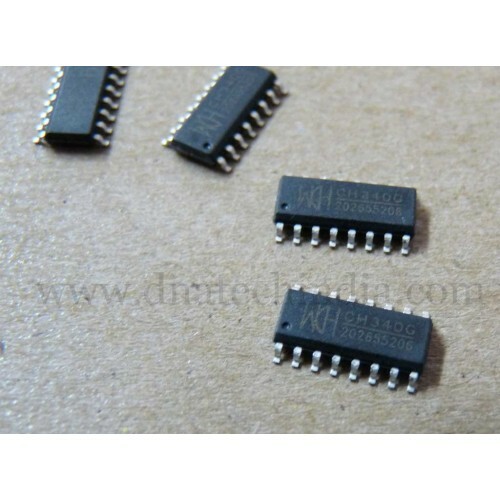 So if you want to integrate this SMD IC into your project you can also used our 16 PIN SMD to DIP convert PCB. The CH340 IC does exactly what you would expect them to do: a full-speed USB device that emulates a standard serial interface, with speeds from 50bps to 2Mpbs. 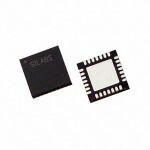 The chip supports 5V and 3.3V, and all the weird modem lines are supported. Now a days lots of Node MCU, Arduino Nano and USB to TTL Converter Modules have been using this IC. 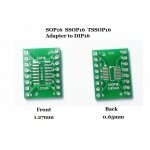 16PIN SMD TO DIP AdapterThis is a 16 pin SMD to DIP adapter a perfect PCB if you do not want to sold..
CP2103 SMD USB-to-TTL Bridge ControllerThe CP2103 is a highly-integrated USB-to-UART Bridge Controll..